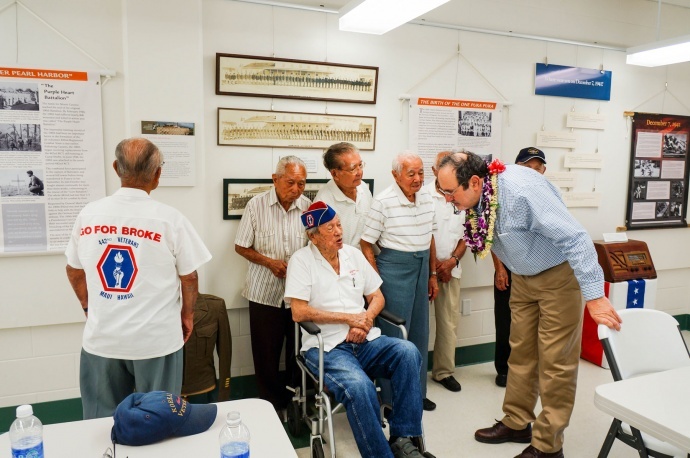 Eric Saul with Maui Nisei Veterans, March 2014 visit. Photo credit, Melanie Agrabante. 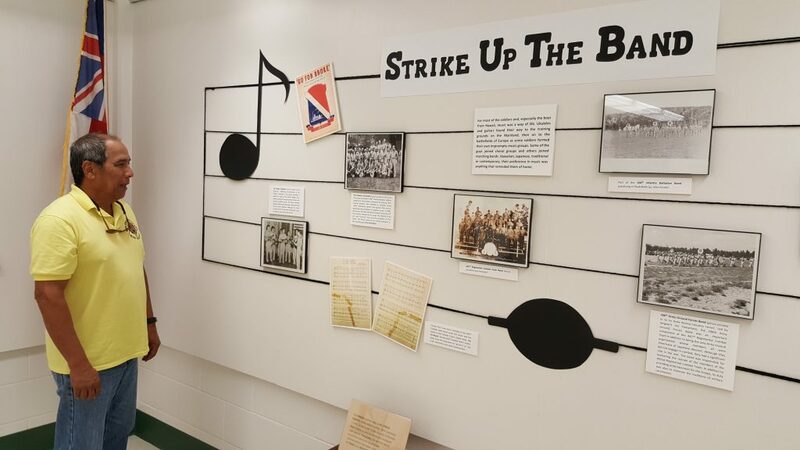 A “Go For Broke” exhibit, chronicling the history of Japanese American soldiers from the 100th Infantry Battalion, 442nd Regimental Combat Team and Military Intelligence Service who served during World War II, opens on May 1st at the Nisei Veterans Memorial Center in Wailuku. The highly decorated 100th/442nd Regimental Combat Team was comprised almost entirely of individuals of Japanese ancestry who fought at a time when many of their family members were held in internment camps. 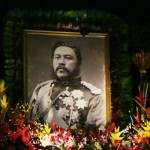 Many of the soldiers were from Hawaiʻi. 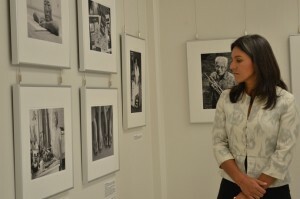 The “Go For Broke” exhibit was originally created in 1980-1981 through the efforts of more than 100 Nisei veterans in the San Francisco Bay Area and Los Angeles, the announcement said. Since then, the exhibit toured throughout the US and eventually evolved into an exhibit at the Smithsonian Institution, exhibit coordinators said. 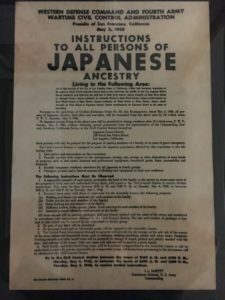 The exhibit includes information on: Japanese immigration to the territory of Hawaiʻi and the US between 1885-1924; the pre-war Japanese experience in Hawaiʻi; Pearl Harbor and the Japanese American evacuation and internment on the west coast; the story of the Japanese American soldier in WWII; soldiers returning home and the closure of internment camps; and the legacy of Nisei Veterans. The exhibit is being presented by Eric Saul, who co-founded the Go For Broke 100th/442nd/MIS Foundation, later called the National Japanese American Historical Society. It can be viewed free of charge, but exhibit coordinators say donations are welcome to assist with future exhibits at the center. 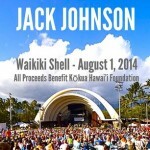 The exhibit runs from May 1 to June 13, 2014, and is open from noon to 4 p.m., Monday to Saturday. It will also be open on Monday, May 26, for Memorial Day, from noon to 4 p.m.